Bravery comes at the form of the revised V8 5.0l that is the heart of the car, it develops 1280 bhp on regular fuel, but if one wants excitement, and more craze from the car, he can only use E85 biofuel to reach 1600 bhp. It is a continuation to the power achievements realized by its older, no less crazier sister, the Agera RS, and Agera One. The power is transmitted to the four wheels through a, strictly reserved to house Koenigsegg, 9-speed Light Speed Transmission (LST) Gearbox. While at its top speed, announced to be around 300 mph, the car carries 1400 kg of downforce. The maximum torque of 1500 Nm is reached @ 5100 Nm. 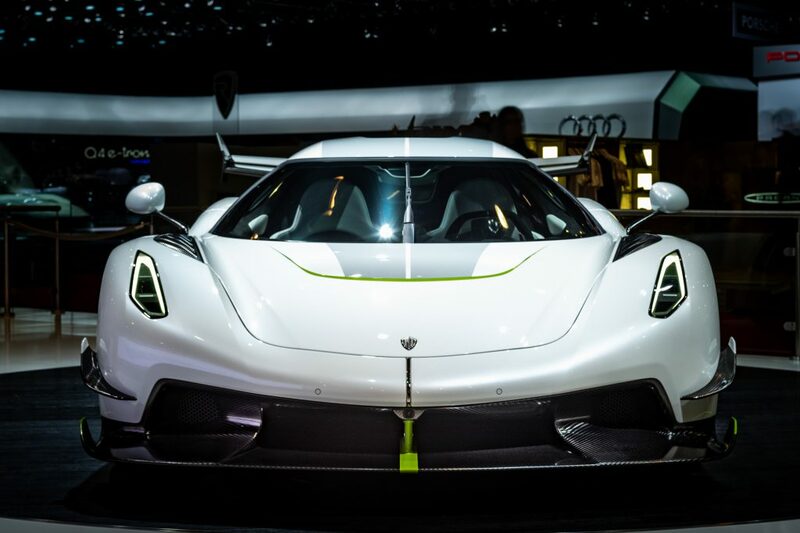 To achieve a high speed like that, Koenigsegg Jesko uses active aerodynamics, a double- profile rear wing, that was placed to rear maximum to reach higher control and maximum downforce. In addition to that, it was top mounted, to avoid any disturbance, and shaped like a boomerang, to ensure that the aerodynamic surface is maximized, that being able to attain better results. 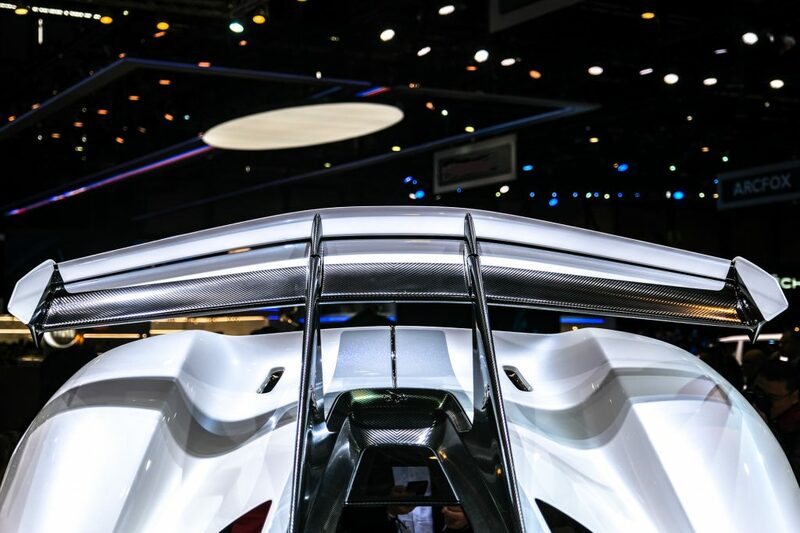 In the front, the car is fitted with what is thought to be the deepest, and the longest splitter ever used on a Koenigsegg, and uses integrated active flaps underneath. Combine all this power, and all the aerodynamics new features, with the mind used at Koenigsegg and the result is more than staggering, it catches the hearts and eyes, it is a monster, but wearing a suite, it is ravishing and in the same time dangerous. 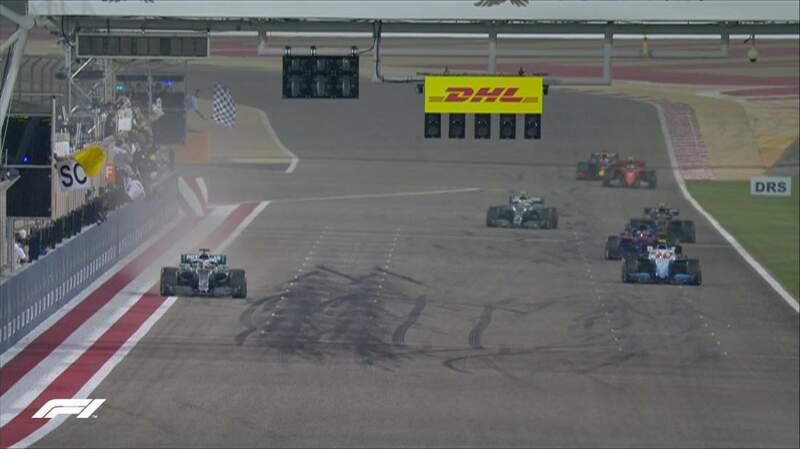 Hamilton wins the Chinese Grand Prix and enters history as the winner of the F1 1000th Grand Prix. Next to him was his teammate Valtari Bottas, securing a solid one-two for Mercedes. Vettel scores his first podium. It was a strong weekend for the Mercedes Boys, the third One-Two in a raw. After starting in pole, Bottas lost to his teammate, and ended up second. The ferrari’s in the other hand who seemed the best in the free practice, went just second row in the quali. Verstappen scored the 4th place snitching it from Leclerc. The Russian Kvyat and The German Hulkenberg scored a DNF. It was a great performance from Albon, who went into the top 10 in the race. Albon had a serious crash in the FP3 session, and was feared not to be able to go to quali. 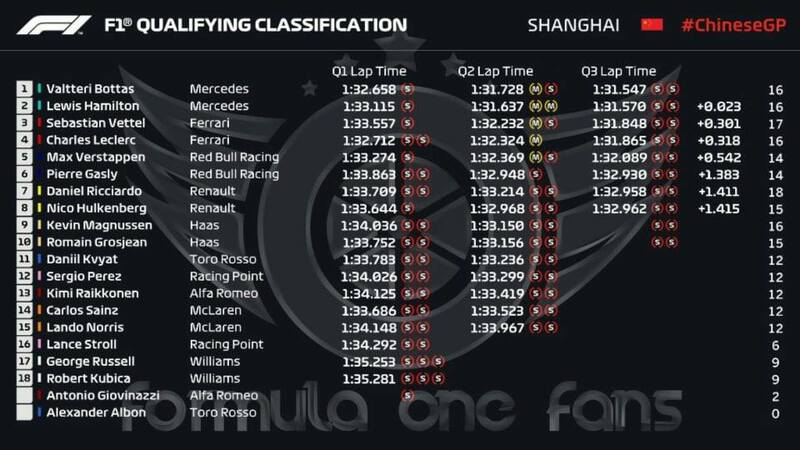 The quali session for the 2019 F1 Chinese Grand Prix ended with a Mercedes F1 team front row lock-up and 2nd row preserved by Ferrari. After them come the two RedBull and right after is the two Renaults and Finally the two Hass’s for the 5 row. Though dominating the FP1 and FP2, Ferrari had something missing for the quali session, or was it maybe the Mercedes found some pace to secure a one – two start tomorrow. It was clear that the Italian were faster in the straight, they even could win up to 0.7 s in the straight alone, but lose everything in the rest of the circuit. Sebastian Vettel is under review for overtaking Verstappen in the before last corner while the dutch was in a flying lap, he found up coming from behind and away from the racing line, a hurrying Vettel. This caused the young dutch to remain 5th and not have a better chance to improve. The difference in pace is still huge that only five people are into the second gap. Mercedes maintained first with Bottas, who had an advantage to his teammate through the weekend, what can they translate that into the race, or will Ferrari have a wake-up Call from what happened in Bahrain? Porsche just announced the cool model for the Cayenne line-up, that will come restyled in a coupe design with new features, and impressive power. We all know the Cayenne, cool, nice looking, one of the best SUV and could be a tough player when it comes to power and speed. 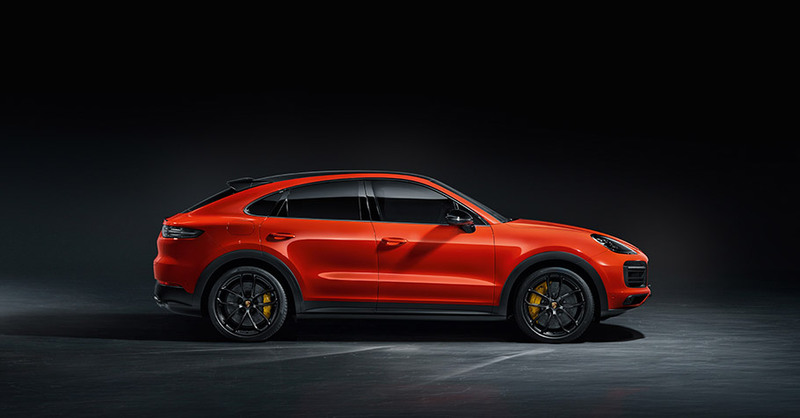 Porsche decided it is enough with the rectangular shape of an SUV, and decided to go to an SUV coup design instead. The looks remind us of mostly the Panamera rear-view, and also, the cousin from another Family, the URUS from Lamborghini. and the Q8 from Audi. They share mostly a similar design, close lines, and all offered from the works of Volkswagen. Like its sister, the Cayenne Coupe benefits of an adaptive rear spoiler. However it should be in the roof rather than on the trunk. To that were added sharper lines to give it the sporty looks we all know for the Cayenne models. Power wise, the Cayenne will be fitted with two high-performance engines. The first variant can be either a 3.0-liter mono-turbo V6, which generates 335hp and maximum torque of 450 Nm, which allows the vehicle to sprint from 0 to 100km/h in 5.7 seconds and max a top speed of 271km/h (151mph). The second engine is a bigger, more powerful, and more insane, a 4.0-liter twin-turbo V8, which produces a total of 541hp and 770 Nm of torque. It accelerates from start to 100km/h in 3.7 seconds and has a top speed of 320km/h. Pricing will start from 75000 $ and beyond. Official sales will be made in 2020. When you celebrate your birthday, you expect gifts that will be offered to you, at Zagato, the Italian design house for many a beautiful retuned cars, it will be all the way around. In fact, they decided to offer the world two beauties from Aston Martin, the DBS Superleggera based model called The DBS Zagato, sided with it, a beauty from the archives of the Brits, The DB4 Zagato. Last year, Aston Martin said it will be celebrating the centenary with a gift, the DBZ collection. 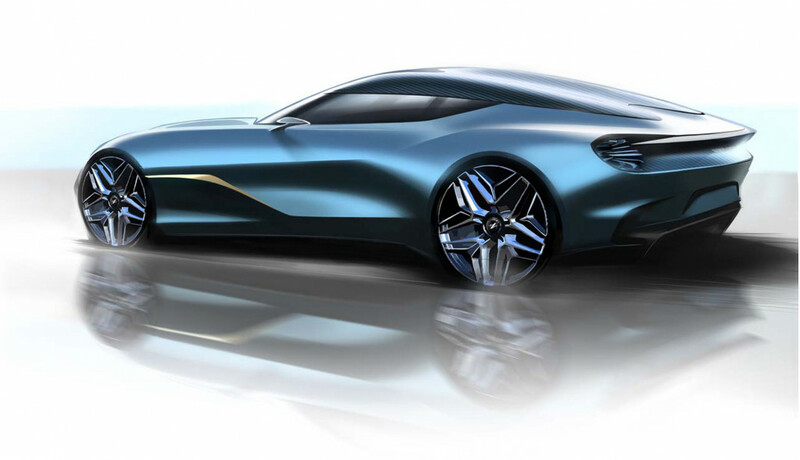 Now it is only teasing the world with just sketches of what will be produced in 2020 from Aston Martin. It will be only possible to buy the two cars together, and at the cracking price of 6 million £ or if you prefer + 11 million euros. The DB4 was the most sought, and one of the most beautiful oldies. To comemorate its honour, the production will be in the same factory in Britain, at Newport Pagnell plant. 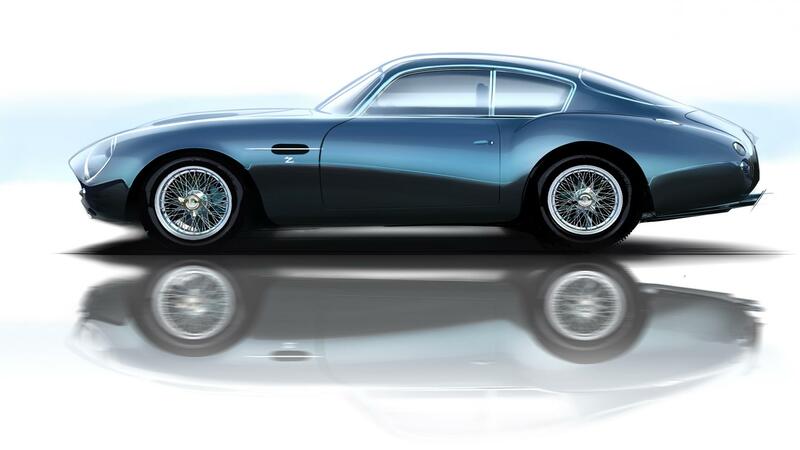 Zagato will be keeping the same details, but it would be a continuation model, futuristic, authentic and with a lot of history. As fas as power is concerned, it will be powered by a straight-six engine sending 380bhp to the rear wheels via a four-speed manual gearbox. On the other hand, The DBS Zagato will be based on the replacement of the Vanquish, with the same challenge, the same powerplant, the 5.2l twin-turbocharged V12 engine producing not less than 712 bhp and coupled to a 8-gears automatic gearbox. The design is futuristic, and has the same touches as the Vanquish Zagato. A slight difference is that the DBS Zagato will be having a fastback design, with the rearshield going in a two bubble way right to the end. Of course one has be lucky to get his hands on the pair, only 19 will be produced, expected deliveries of the DB4 in this year, the Zagato DBS is confirmed for 2020. After a sour loss in Australia, Ferrari brought its A-game to Bahrain GP, the Italian team dominated all the qualification sessions with good margins. It was mostly Leclerc who was in the front, Vettel could only be first in the second free practice. 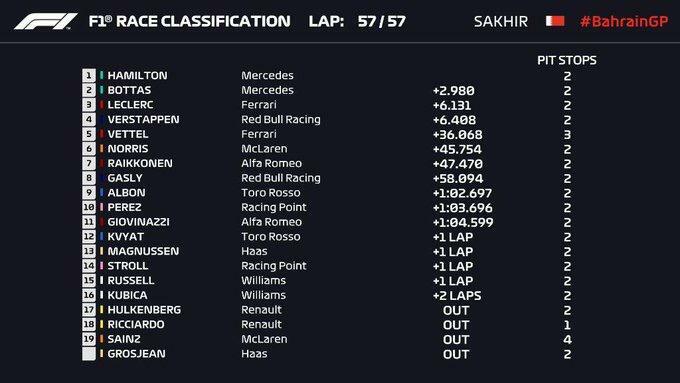 Came the race, Ferrari had a front row lock-up, Mercedes was in the second raw, and Verstappen was fifth, his best Bahrain GP qualification. Leclerc, scoring his first pole position in F1, had the right to dream of a first win. Things did not work well for him in the race start, being overtaken by Vettel, who squeezed him in the first turn, leaving the door open to Bottas to pass by and even at risk of being overtaken by Hamilton. Not a problem, he got his head down, and went for it. In the lap two, he got rid of Bottas, and left him for an easy prey to Hamilton who took the opportunity to get back to second, in the 5th lap, in the main DRS zone, he got back to first, and he dictated the pace since. A bit in the back, things did not work well for Grosjean who was touched from the back by Stroll, causing damage to his car, and leading him to quit the race. Sainz who wanted to bully Verstappen out, got a taste from the anger of the dutchman, blocked, touched, damage to the car, pit stop, and last in the race. Ricciardo had an amazing start, he was easily 7th in the first laps, and even got to 6th. The stewards did not bother with all the touching, shoulder rubbing and squeezing, they decided that race incidents happen. However, Kvyat who was a victim of Giovanazzi small touch from behind, was awarded a 5 seconds penalty, for speeding in the pits. Verstappen, suffering from a slow puncture, started the pitstop wars, in the 12th lap, just after him were Leclerc and Hamilton, and the biggest loser from all that was Vettel. Hamilton who kept a brand new soft tyre kit, thinking he could dominate in his second stint, found himself loosing pace to Leclerc flying to a certain win, and being chased by Vettel. Yet at the 23rd lap, and after overtaking the Brit, Vettel was +8.0 seconds from his teammate. Mercedes gamble paid off after getting the medium tyres on, Hamilton had a better race pace then Vettel, and went for him. First try was in the 37th lap, but Vettel kept his place, the old rivalry taught them both some tricks, and let them know each other move. In the 38th lap, Hamilton went for it again, and in the same turn 4, he left Vettel spinning, his new favourite sport since the Italian Gp in Monza. He should leave playing Mario Kart we all think. Getting back on his feet from the overtake, but damaging his wheels, he created vibration in his car, thing that made him loose his front wing in the back DRS straight, and getting back, after pitting to the 9th place. Ferrari, did not lose hope, Leclerc was in the game yet, but in the 46th lap, things started to change. Leclerc declared a loss of power, and a loss of dreams. Some say it was because of ignition, and the cylinders are not working, some say he lost his turbo recycling valve and balance monitor. The result is, he was 5 second paced off to Hamilton. There a new chase started, Hamilton even grew wings, seeing the win being offered to him. 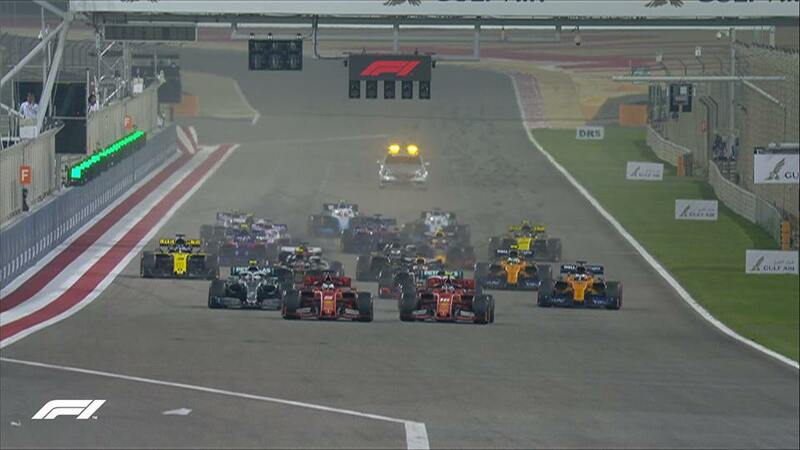 Leclerc lost to Bottas, but the Renault team cars decided it is time to go home, and both Ricciardo and Hulkenburg quit the race, getting the safety car in, and saving Leclerc from finishing fourth. The race ended behind the safety car, and we all think it was damage limitation for all, Verstappen would have his teeth clinking until now from desire to overtake. So Ferrari were the biggest loosers, Renault also, despite starting 7th, sainz ended up in the pits, this made Kubica end up winning 4 places and two laps behind the lead. The biggest winner, besides Hamilton, who got the things offered to him, was the young Lando Norris, who finished 6th, proving once more that the Mclaren is winning in reliability and performance. Raikkonen finished 7th after starting 9th. Two weeks from now, we will go to China, to see even more performance extracted from these cars, and maybe a change of winds of luck direction towards Ferrari. As the world champion is concerned, Mercedes is still keeping a comfortable one-two, Ferrari needs to re-read its paper, Verstappen is third. 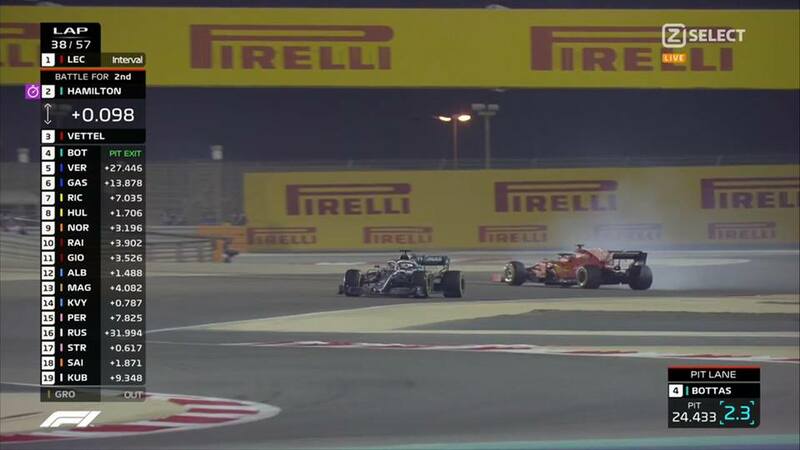 This just in, Mercedes F1’s driver Lewis Hamilton won the Bahrain Grand prix with not a bit, but a lot of luck. The Brit who started third had the win offered to him by major luck forces due to a spin of Vettel, his favourite sport apparently, in the 37th lap turn 4 and Leclerc losing power. 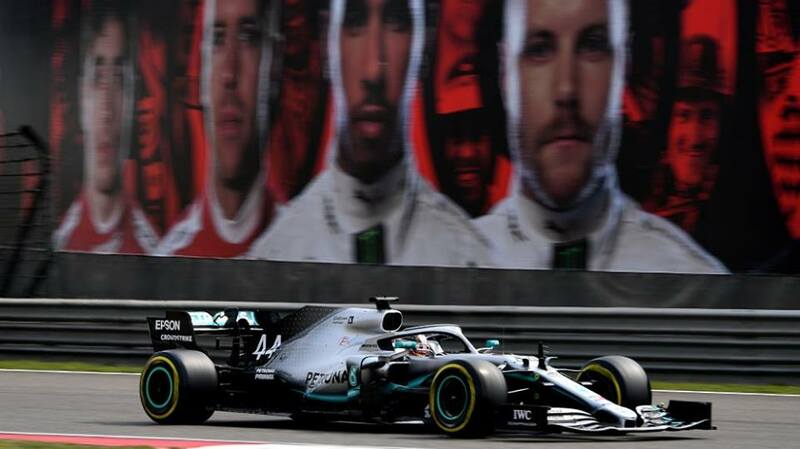 The Monégasque who lost to his teammate in the start, and to Bottas in the first lap, recovered in the 5th lap to get back to first, he kept dominating the race up until the 46th lap, he declared that he had power problems, and that kept carrying on, until being overtaken by Hamilton, then Bottas, and was saved from offering the last step of the podium to Max Verstappen by the intervention of the Safety Car. This is the 8th Grand Prix to finish behind the safety car. Still, this is Leclerc first podium, and he got a well deserved extra point for the fastest lap of the race. Mercedes, deserved a one-two win in Australia, Bottas had a stuggering pace, but in Bahrain, who was fully dominated by Ferrari, they had the win offered to them this time. Will problems ever be over at Ferrari Side, or will this lack of luck be carried on up until the end of the season? this goes without saying, but From the second half of the 2018 season, and the start of the 2019 season, Ferrari wasn’t able to score enough points to put them in a good place for a fight.